Do you want a beautiful Christmas tree but don’t know how to decorate your Christmas tree like a professional? Everyone wants an elegant tree that looks like it belongs on a magazine cover. The perfect tree has balance and requires careful attention to detail. Here are five tips and tricks to get the professional look that you will be proud to show off. The first step in designing your professional tree is to add Christmas lights to it. The most professional designer look is to use white or clear lights, instead of colored ones. Stick with lights that stay on instead of blinking. Start at the bottom of the tree and work your way up. You should use plenty of lights; a minimum of 100 lights per each foot of your tree is recommended. That adds up to 700 lights or 7 strands of lights for a 7-foot tree. Don’t worry about adding too many lights. If you have a pre-lit tree, you can still add more. You can change up the look slightly by adding some larger lights amid your mini lights. Your Christmas tree should give the illusion that it is magically lit up. The strings shouldn’t show. Cover up the strings with decorative pieces like tree picks. These come in many designs, including faux tree branches, twigs, pine cones or berries. Shape the branches around your tree to make it fuller while also strategically placing the branches to hide your strings. You can also add greenery stems that make your tree fuller and help hide the strings. Use big ornaments or other items to decorate your tree to provide focal points. We even use photos for artistic interest. Use 7 to 9 oversized focal point ornaments or other decorations so that people will see them right away. Mix these pieces in with ornaments that are different sizes, shapes, and designs. Create clusters of similar items that are of different sizes for aesthetic appeal. This provides balance to your tree and is a cornerstone for how to decorate your Christmas tree professionally. Add lots of ribbon – The ribbon should be a key component to the tree. Use large ribbon – 12” ribbon works really well for Christmas tree enhancement. Add the ribbon uniformly to the tree – Decide on which way you want your ribbon to run, such as vertically, horizontally or in another pattern. Layer the ribbon – Use one or more types of ribbon with different colors, textures or widths to create better designer impact. Select a color scheme for your Christmas tree. This can be traditional Christmas colors like green or red. You can go bolder with holiday colors on trend this year. Some options include peacock blue, sage green, magenta or bronze. Use colors that are in the same color family, such as all metallic colors or blue and green. Another option is to use colors that contrast, which are on opposite sides of the color wheel, like purple and gold. Echo this color scheme in your decorations. There you have it, that's how to decorate your Christmas tree like a professional? Want to skip the decorating and have a professional do it for you? 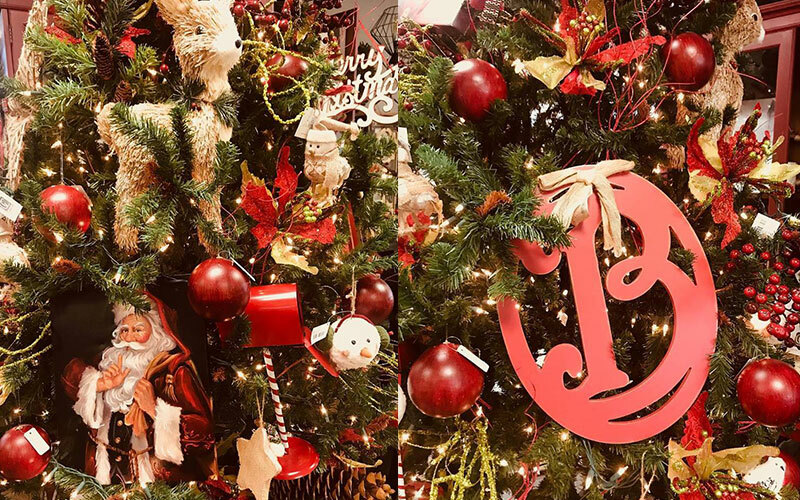 Call us at 770-421-1278 and we can help you with a designer tree that's sure to get attention on this Christmas holiday.